Hi! I’m Jemma and I’m a Workshop Facilitator here at the L’Oréal Young Scientist Centre (LYSC) at the Royal Institution (Ri), a science charity which was founded way back in 1799 to encourage people to think more deeply about the wonders and applications of science. 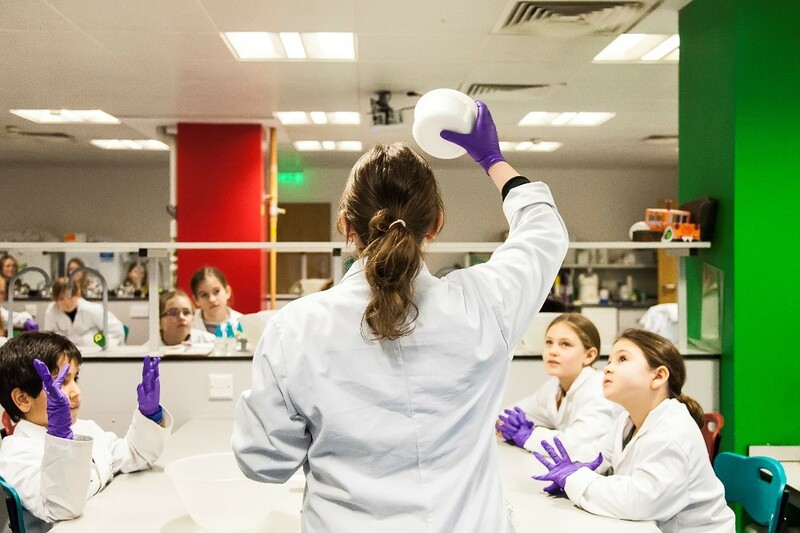 L’Oréal UK & Ireland have partnered with us for more than a decade now, helping us to provide interactive science activities for children of all ages and backgrounds. Today marks the start of British Science Week so I’ve taken over the Butlin’s Blog to tell you about a typical day (although no one day is ever the same!) running a workshop for 7-18 year olds in the LYSC lab. Our aim is to reveal to children and teenagers the reality of life as a scientist or engineer and to equip them with the investigative skills needed to use science to explore the world around them. From lip balm making to crash testing, we’re constantly experimenting and getting our hands dirty! After you’ve read this blog, why not have a go at making your own bath bomb? Download your special instruction guide to try your hands at it at home or visit the Ri and L’Oréal UK & Ireland workshop at one of the Butlin’s Science Zones! As headline partners, our activities can be enjoyed there across the year. So what’s it really like to be a Workshop Facilitator? I’ve been one at the L’Oréal Young Scientist Centre (LYSC) at the Royal Institution (Ri) since December 2015 and I present exciting hands-on workshops to young people from the UK and overseas. 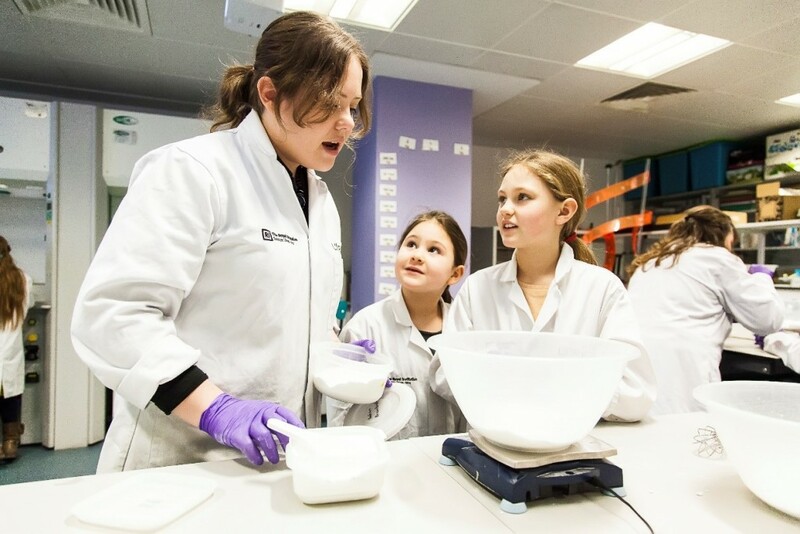 This year, we’re taking our laboratory experience to Butlin’s Science Zones where children will have the chance to explore chemistry by making their own bath bombs. Each day in the LYSC is different. Some days we’ll have a group of teenagers in for our ‘A Question of Taste’ workshop, where we look at a gene that gives some people the ability to taste a bitter chemical while others can’t, while other days we might have much younger children in to make and experiment with shampoo. Every day brings a different challenge, which makes it an exciting job! Our most popular workshop and my personal favourite is Cosmetic Chemistry. I love this workshop because it links science directly to something the children are familiar with and gives them the opportunity to apply this knowledge to make their own products. For some, this workshop is the first time that they will make the connection that science has contributed to the products they use every day. The Cosmetic Chemistry workshop starts off with a discussion about what a cosmetic is, examples of cosmetics we all use and when they first think humans started using cosmetics. At first, many children assume that cosmetics are just makeup or are only for girls! While make-up is a large part of the cosmetics industry, other cosmetics include shampoo, body wash and moisturisers. When asked about when they think humans first started using cosmetics, the guesses range from the Romans to the Stone Age to the Ancient Egyptians. The adults in the room have a bit of a giggle when a child says that humans only started using cosmetics 10 or 20 years ago! We start off with an experiment that looks at the chemical reaction that occurs when you put a bath bomb in water. Bath bombs are made of two main ingredients; a weak acid, citric acid and a weak alkali, sodium bicarbonate. The two mixed together in water create a neutralisation reaction that produces carbon dioxide gas, water and a salt. The reaction is called a neutralisation reaction because if the citric acid and sodium bicarbonate are mixed in the right amounts, the resulting mixture will have a neutral pH (the measure of how acid or alkali a solution is). The children perform this experiment by looking at how the pH changes for water, a solution of lemon juice (acid) and sodium bicarbonate. This shows that acids have a low pH (pH 1-6), water should be (but isn’t always) neutral (pH 7) and that alkalis have a high pH (pH 8-14). To make the bath bombs the children start off weighing out the sodium bicarbonate and citric acid and mixing them together. As the sodium bicarbonate and citric acid are all that we need for the chemical reaction, I joke that the bath bombs are now finished and we can take them home. The children let me know that, of course, they still need colour, smell and shape! To bind the bath bombs we use witch hazel, which is often the tricky bit. Not enough witch hazel and the bath bombs will crumble, add too much and they will stick to the moulds and come out looking a bit like cowpats! To make the shapes we pack the mixture into different shaped moulds. We then turn it out onto a tile and lift up the mould to reveal a completed bath bomb. Every child will have made at least three bath bombs to use themselves or to give to family and friends – they make lovely gifts! At the end of the session we demonstrate what happens when we put one of the bath bombs in water. This demo bath bomb is a left-over mixture that includes all the fragrances mixed together and it is not always a pleasant odour! This demonstration shows the chemical reaction happening on a large (and colourful) scale. Now it’s your turn to make a bath bomb! Seriously cool, right? Well now it’s your turn! Give making bath bombs a go at home by using our simple step-by-step guide which you can download here. 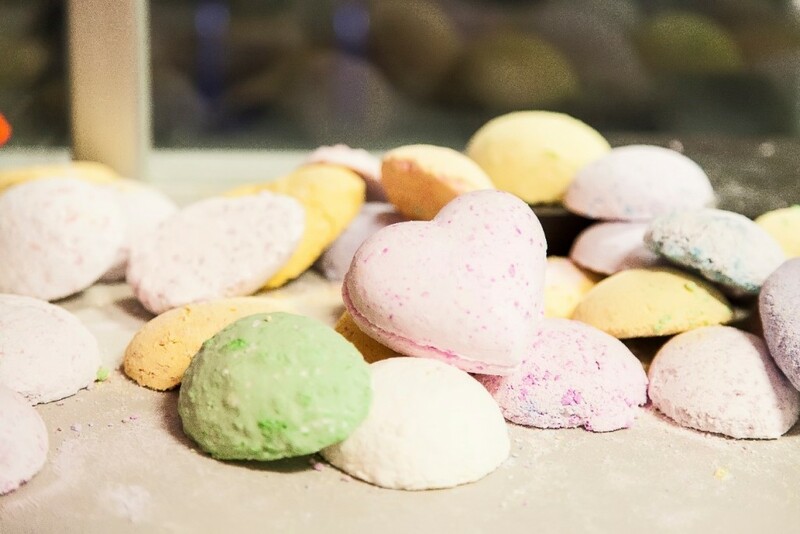 Whether it’s adding a bit of colour and excitement to bath times or creating a personalised birthday gift, bath bombs are lots of fun to make and use! We’d love to see photos of your bath bomb experiments and the final product, why not share your snaps with Butlin’s on Facebook, Twitter, or by tagging them in a snap on Instagram! Our bath bomb and colour chemistry activities arrived at Butlin’s during February half term and we will continue to experiment and wow families with incredible science in the Butlin’s Science Zones throughout 2017. Come and join us! 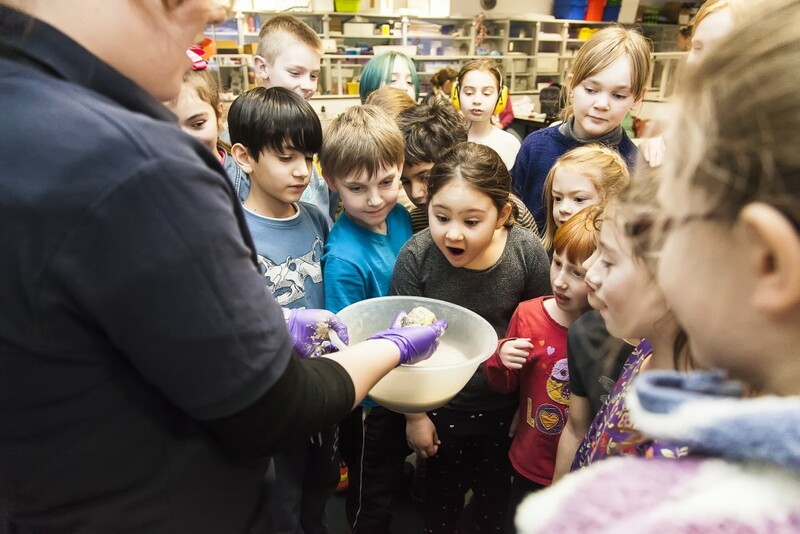 The Make Your own Bath Bombs stand in the Butlin’s Science Zones is a snapshot of the Cosmetic Chemistry workshop presented by the L’Oréal Young Scientist Centre at the Royal Institution. Science charity the Royal Institution (Ri) and L’Oréal UK and Ireland have been working together for over a decade to encourage people of all ages to think more deeply about the wonders and applications of science. A highlight of this partnership is the L’Oréal Young Scientist Centre, a modern laboratory in the Ri’s historic home in central London. Since 2009, the L’Oréal Young Scientist Centre has provided exciting experiences in cutting-edge science for more than 52,000 young people aged 7–18 through hands-on laboratory workshops, as well as outreach activities in the UK and internationally. 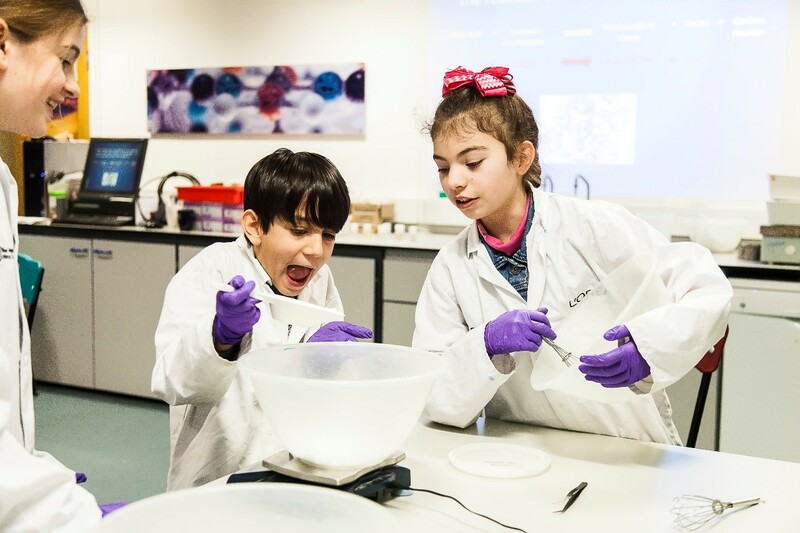 Our imaginative and exploratory workshops, led by a dedicated team, aim to bring science to life in the most compelling way and offer young people from all backgrounds a fascinating insight into the reality of life as a scientist or engineer. 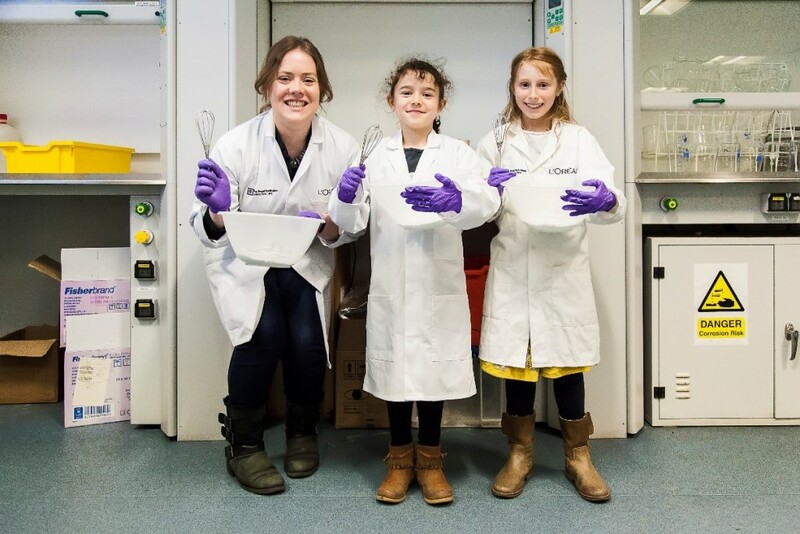 Hey, I work for the L’Oréal Young Scientist Centre at the Royal Institution, a science charity that helps to provide interactive science activities for children of all ages and backgrounds. Check out my guest blog post about making your own bath bomb!